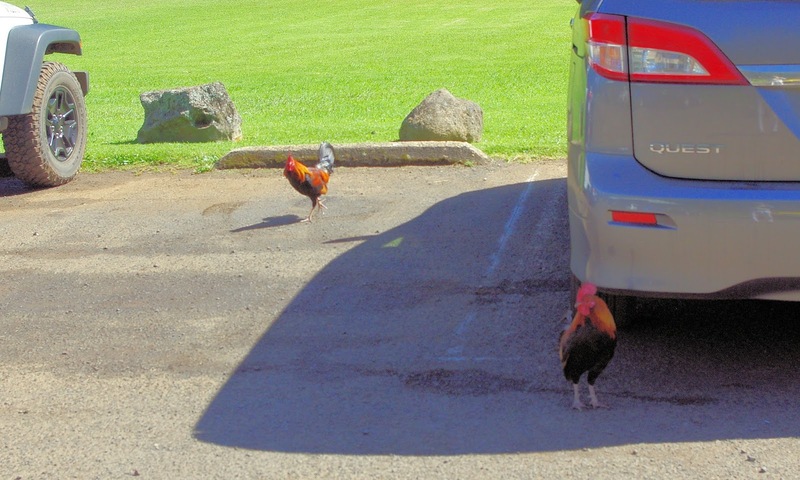 There are many wild chickens everywhere in Kauai. They are not scared of people but hen with chicks is very cautious so run away from me. Wild chicken is a symbol bird of Kauai. This hotel has a beautiful garden and pool. I left Kauai and went Maui Island.